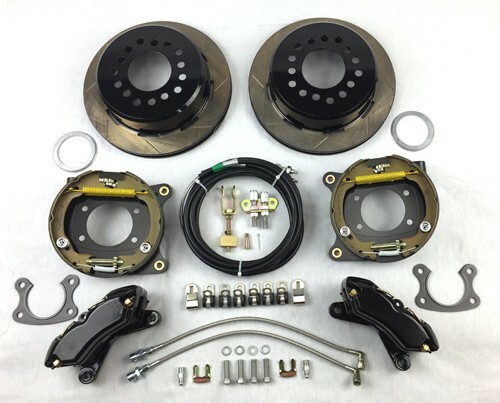 Disc brake conversion kit for 1964-73 Mustangs with 8", 8.8" & 9" rear ends. Kits available for 8", 8.8" or 9" small, big or late (Torino) bearing rear ends with 2.5" axle offset - select below under options. Requires no modifications! Retains OE track width and fits most 14" or larger vintage style & backspace wheels without spacers or modifications. Watch the short YouTube video to the left to see how simple the installation can be. 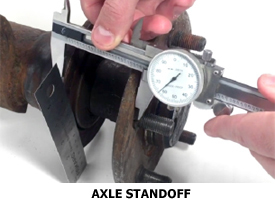 The video details installation of our 12" system but this 11" system is practically identical. Only a 11" dia. 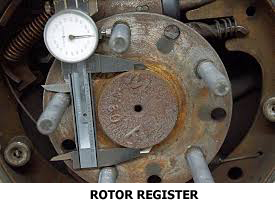 rotor is used and a low profile caliper. 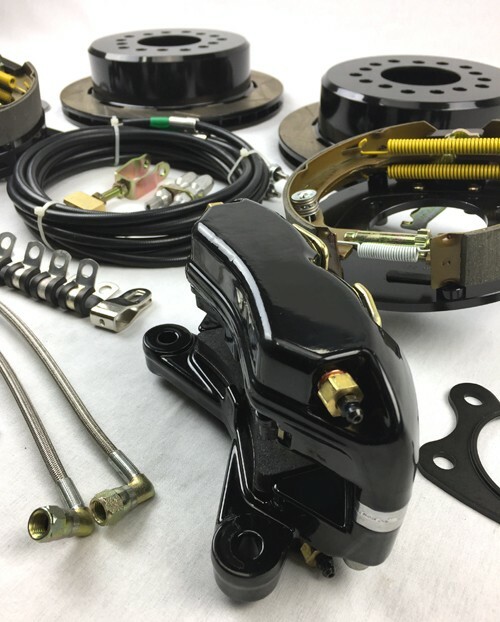 2 x 4 piston forged aluminum calipers & metallic pads - powder coated gloss black. 2 x Parking brake mechanism's. 2 x Caliper mounting brackets. CNC machined from billet aluminum, hard anodized black. 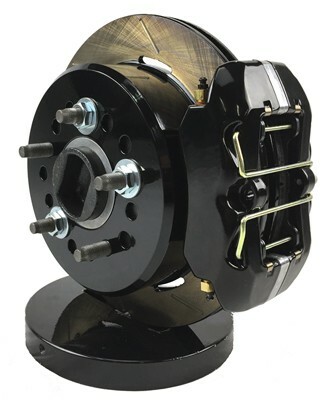 The design of these is such that installation does not require the axle bearing to be removed. 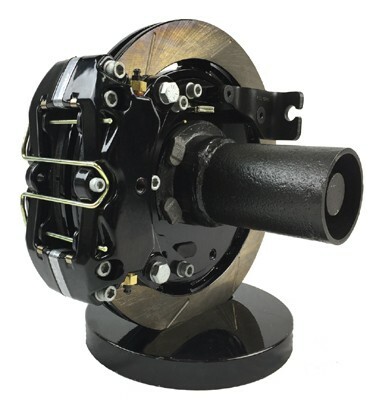 2 x 11" diameter gas vented rotors. 2 x Stainless braided flex hoses with adapters to connect to the OE hard line and mounting hardware to connect hose to axle tube. Hoses meet DOT MVSS-106 requirements. Selection of quality fasteners to install the kit. Due to the extensive choice of options, all kits are custom built. Usually built & shipped in 1-2 weeks but please contact us to confirm current build time if you are in a rush. Hoses: Drivers side braided flex hose includes fitting to connect to the brass block in our Intermediate Brake Hose. Caliper mounting brackets: Custom designed, CNC billet aluminum. Grade 8 and other quality fasteners included. 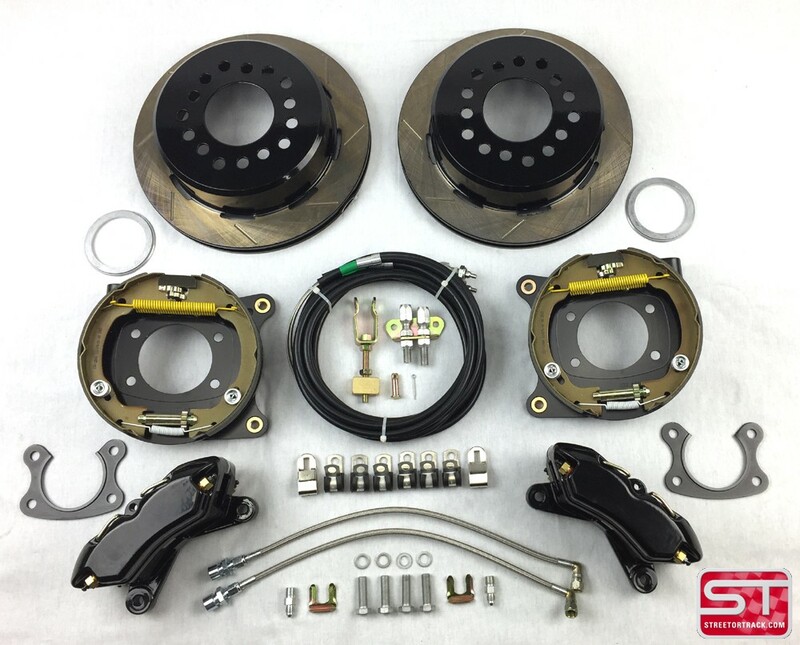 Complete parking brake kit included. Rear End Small Big Late (Torino) 8.8"